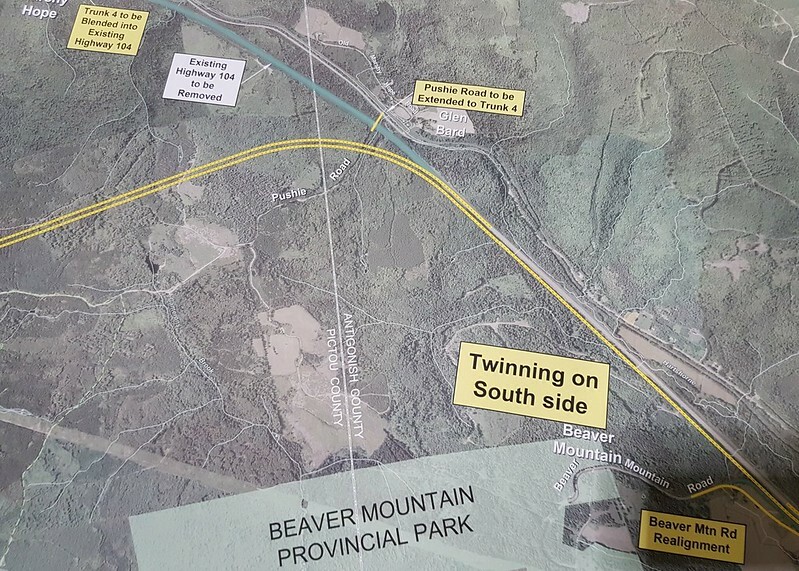 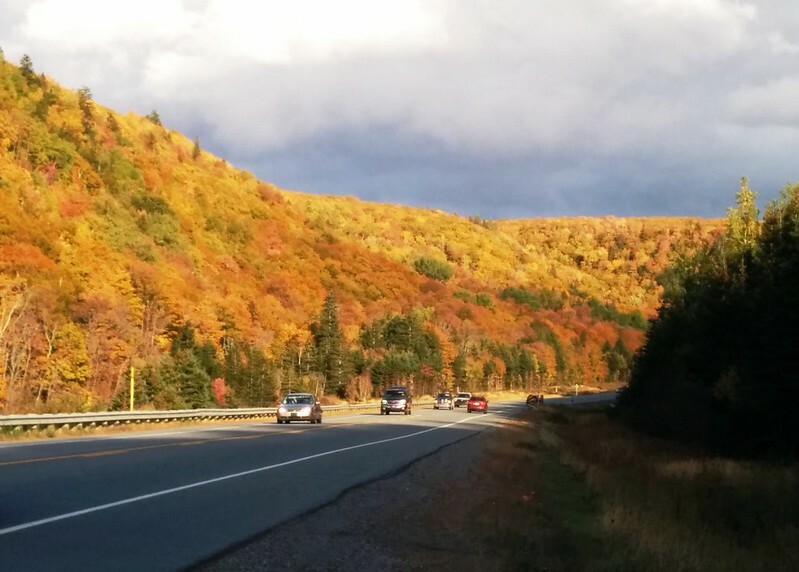 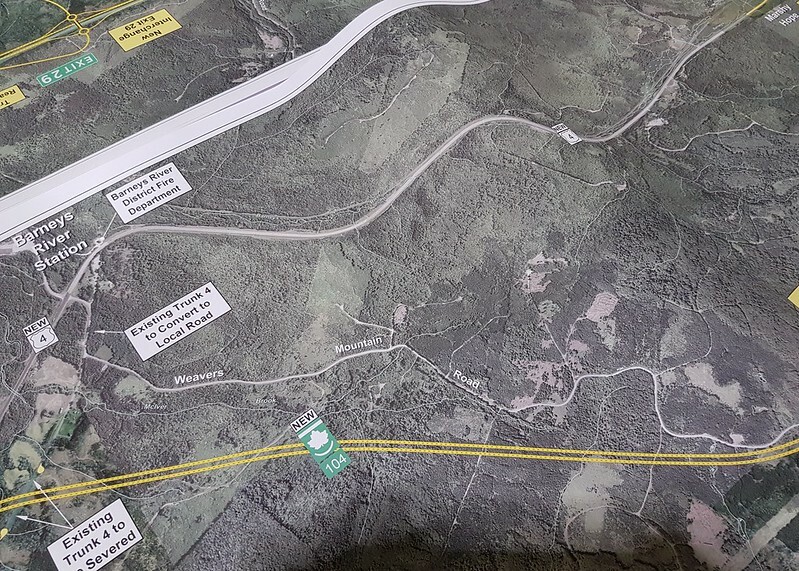 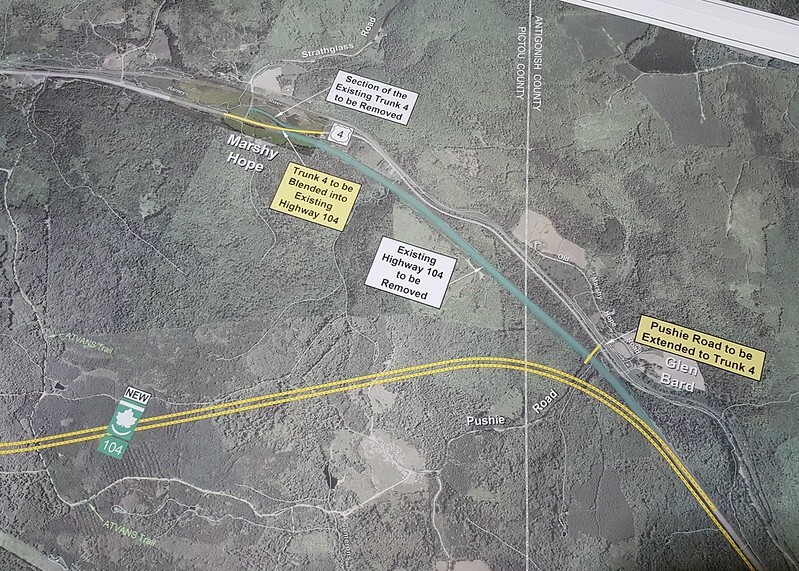 The Nova Scotia Department of Transportation and Infrastructure Renewal presented an Open House last week on the proposed twinning of TCH 104 between Sutherlands River and Antigonish. 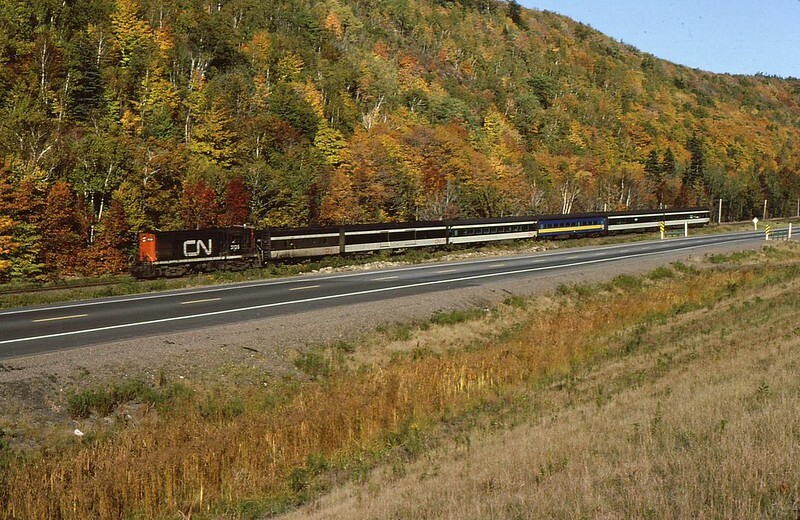 The existing TCH104 through Marshy Hope is quite scenic especially in the fall…..running through a narrow gorge section with a railway on one side and river on the other. 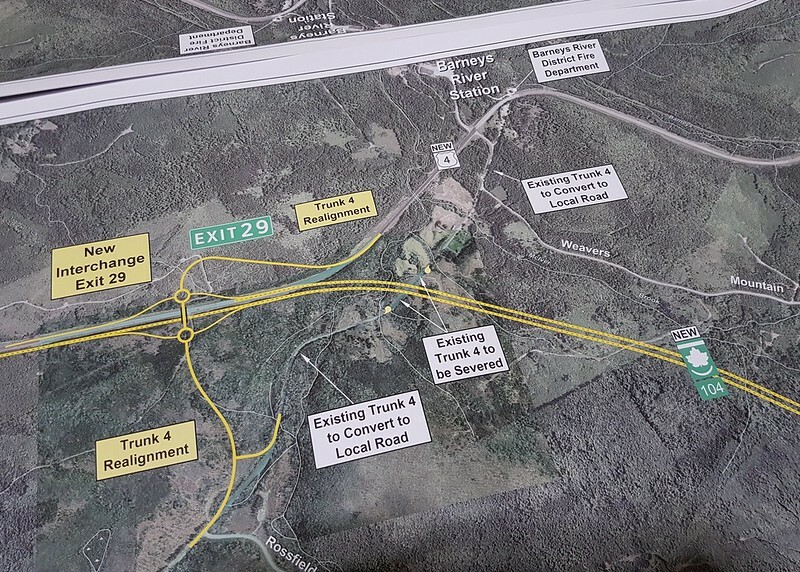 It will become Trunk 4 in the future. 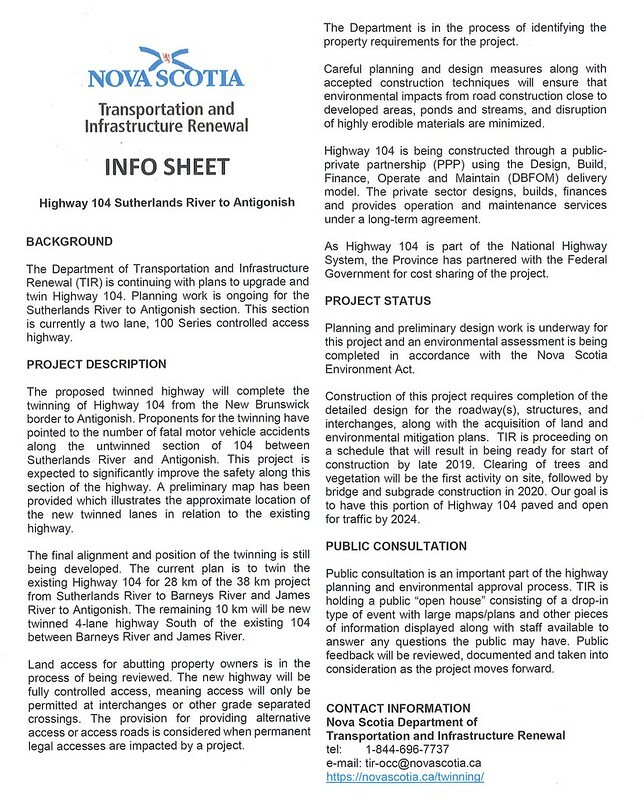 Once this new section of twinned TCH104 is complete and hooks into the Antigonish Bypass…..it will push the eastern end to approx KM233 at Taylors Road. 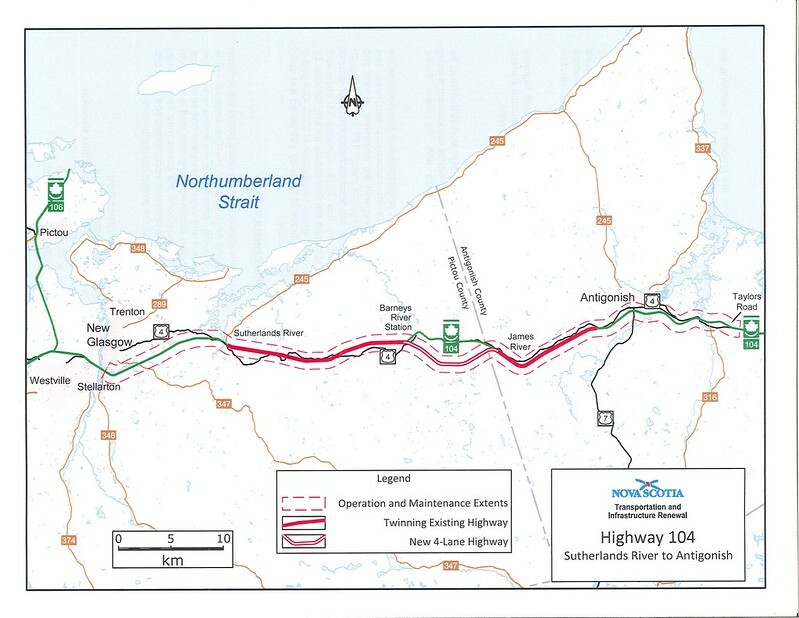 There are disconnected freeway segments east of there at Sydney and in Newfoundland at Corner Brook, Grand Falls and between Whitbourne and St. John’s.